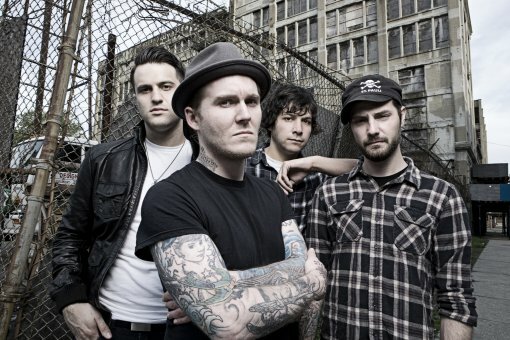 On Thursday, Sep 30, New Jersey’s favorite sons, The Gaslight Anthem will play their biggest local show to date at NYC’s venerable Radio City Music Hall (Buy Tickets). The band is on a massive tour right now in support of their latest effort American Slang, which came out in June on Side One Dummy Records. If you’d like to go to the show, but are feeling a little light in your pocketbook right now, fill out the contest entry form after the jump for a chance to win a pair of free tickets to the Gaslight Anthem at RCMH. Contest ends September 29 at noon, 1 entry per household. Contest entry form, video for “American Slang” and Gaslight Anthem 2010-2011 tour dates after the jump.